Love - same message on both sides. 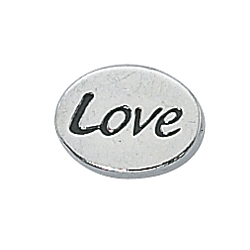 Add a special touch with a message bead! Measures approximately 11x8mm, 3mm thick, and with a 1.5mm hole.